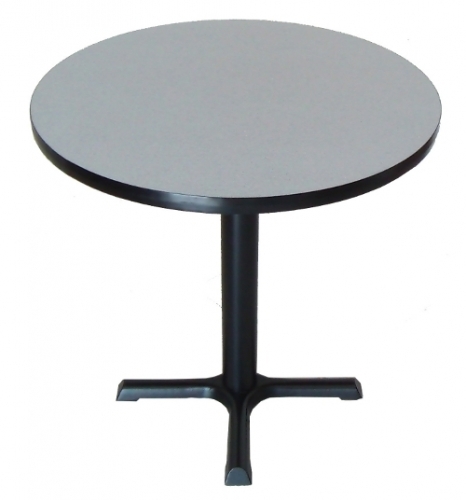 This 30 round cafe and restaurant table can be used in many environments, from commercial to home. Many laminate colors to choose from. Choose the gray granite for a modern look, or a wood grain color for a classic look. Base Width 22" x 22"